I took this pic this morning, I think it demonstrates lying, and peaceful quite well. Perfect! 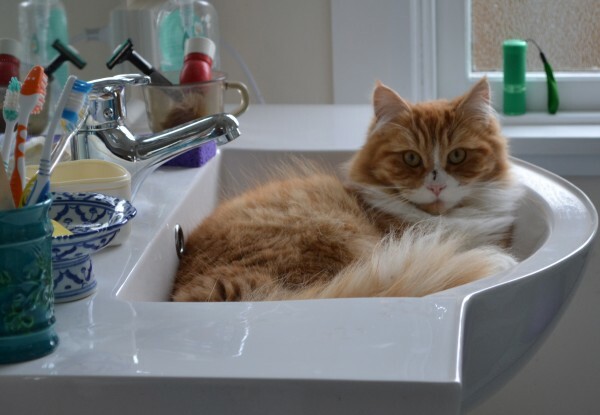 I used to visit a website called "cats in sinks" or something like that. Very well indeed! Beautiful cat too.